Tags: Bottle Green, Dark Magenta, Gharara, Heavy, Pink, Walima & Second Day. Pink pure chiffon short shirt dupatta and magenta gharara. Shirt has been adorned with embellished neckline and border on front and back hemline. 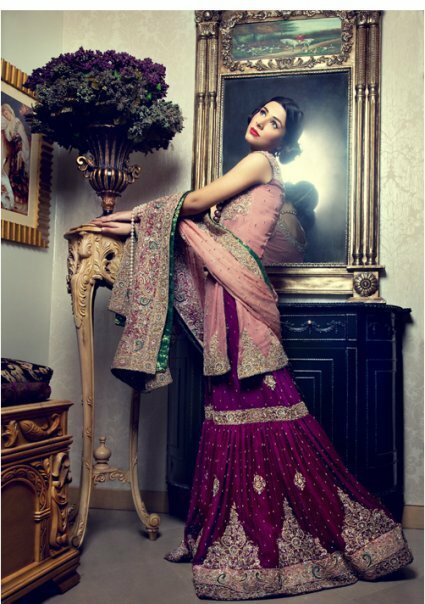 Magenta gharara with embellished border all around the bottom. 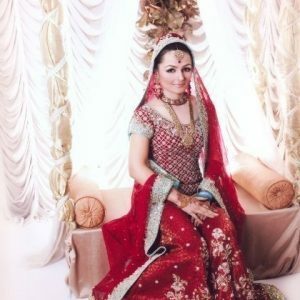 Dupatta having four sided embellished border. Crystal stones ans small motifs crafted all-over the dupatta.